The best and economic service of Cancun Airport Transportation. 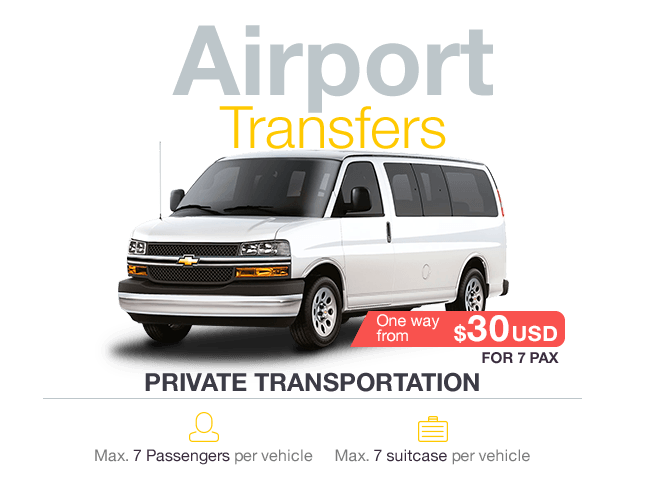 With over 25 years of experience in transportation service, Cancun Airport Transfers by Feraltar is a well-known company, that seeks to offer the best experience to their customers. We offer transfers from Cancun Airport to any hotel in Cancun Downtown, Hotel Zone, Playa del Carmen, Tulum, and the Riviera Maya. We put to your disposition our fleet. 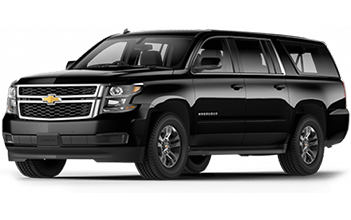 There are some of our options you can choose from Chevrolet Suburban, VW Transporter, Chevrolet Van Express, Toyota Tundra Limo and Toyota Sienna Limo. All our vehicles are constantly inspected to assure your safety. This way your family, friends and you, can enjoy the trip the safest and most comfortable way possible. In Cancun Airport Transfers, we understand that after a long and tiring flight it's a priority to reach your destination as soon as possible, with no stress or preoccupation. Once you book your transportation service, and you have landed, one of our representatives will be waiting for you with a sign and your name on it, to kindly welcome you. Then will guide you to your vehicle and one of our bilingual chauffeurs will drive you quickly to your destination. There are several transportation companies in Cancun Airport, but there is only a few are approved by the Cancun International Airport to offer Official Transportation. When you book your transportation with us, you do not only get the best rate online, we assure you it will be an excellent service. If you are planning your next vacations or a business trip to Cancun, book ahead your Cancun Airport Transportation and be pampered by us. 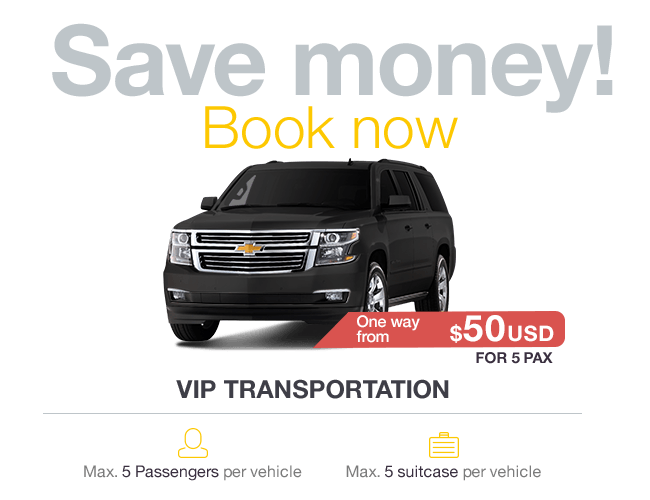 Why should you book with Cancun Airport Transfers? 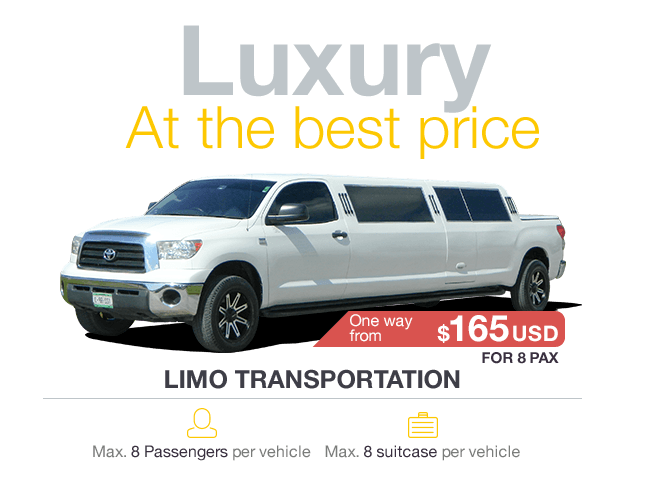 There are many Cancun Airport Transportation companies, but with us, you can be sure that you are going to have the best care by our staff at the best rates in Cancun. Each service has additional benefits for you! Book now your Cancun Airport Transportation with a stress-free service and with the lowest price! Just here…in Cancun Airport Transfers. 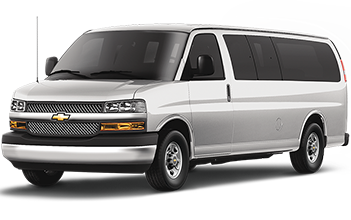 The Cancun Airport Private Transportation service is aboard a Van Express, without any stops and waiting time. The vehicle will leave the airport as soon as you’re ready and will be exclusive to you and your friends or family. The units have a maximum capacity of 7 passengers and are a nonstop service to your destination. The Cancun Airport VIP Transfer is a board of luxury Suburban and offers you more comfort and privacy. The vehicle has a maximum capacity of 5 passengers. The Cancun Airport limo service is aboard of vehicles that ensure the comfort and luxury that you deserve. 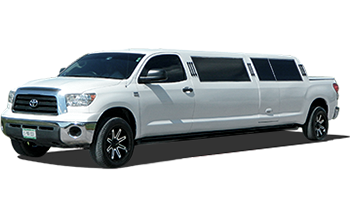 You can choose between a Toyota Tundra Limo or a Toyota Sienna Limos, this is one of the most luxurious and comfortable transportation service in Cancun.